Protein Cookies are a delicious baked cookie with over 50% protein content. This great tasting soft cookie is a fantastic alternative to protein bars and shakes with over 37g of protein per 75g cookie. Protein Cookies come in four great tasting flavors which include; Chocolate Orange, Double ChocolatE, Chocolate Mint, White Chocolate Almond. Protein Cookies provide 37g of protein per cookie which will help with the growth and recovery of muscle mass. 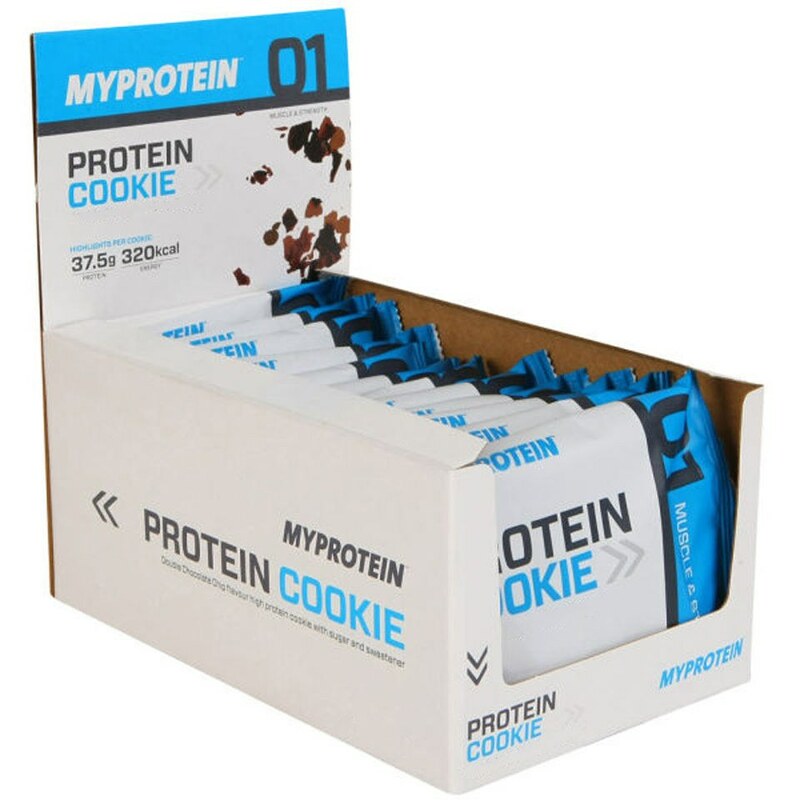 Due to the high protein content these Protein Cookies are a fantastic snack either side of training to help stimulate muscle protein synthesis (MPS). Protein Cookies are ideal for anyone looking to increase daily protein intake and are looking for a quick protein snack on the go. Protein Cookies make a great tasting supplement for around training or at any time throughout the day to contribute to your daily protein intake.